Fear of being hit and seriously injured by a car is a major deterrent for people considering whether to bike on city streets. At the same time, city transportation departments use historical crash data to prioritize street design projects where people have been killed and seriously injured. 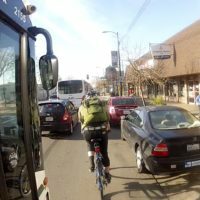 But new research shows that for cyclists, near misses, close calls, and aggressive behavior from other road users can also have a significant effect on people’s biking behaviors or even their decision to ride at all. How can data about these cycling near-misses better inform city transportation policy and street design? 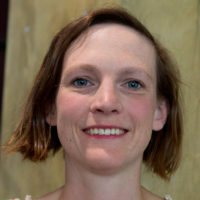 Join NACTO for a conversation with Dr. Rachel Aldred, founder of the UK’s Near Miss Project, to learn how her research has been used to create cycling policy and design improvements in the UK before injuries occur, and why high-quality design is crucial for increased ridership. Dr. Aldred will touch on various approaches to near miss data collection, and how they can help cities provide a more comfortable biking experience, improve biking rates, and make streets safer for everyone.